The cutest little cookie company in Memphis is coming to Austin. Thank you. Thank you very much. 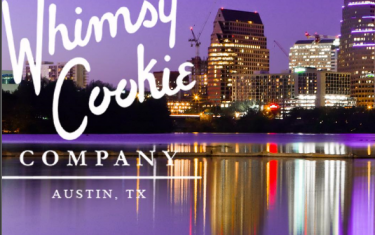 Whimsy Cookie Company announced today, via Instagram, that they are expanding to the ATX this spring. No other details were given. The company is founded and owned by Collins Tuohy and Laurie Suriff. We came to know a bit about Tuohy, sister to Michael Oher, when she was played by Lily Collins in the motion picture, The Blind Side. Suriff is a Texas native whose passion for cookies started as a young girl while baking alongside her mom in Dallas. Though she graduated from Texas Lutheran in Seguin, she was first enrolled at St. Edwards University. As you can see, the company’s Whimsy designs are not just adorable, but often on trend. We think they’ll fit right in here in Austin.